View from above – Palamidi fortress - Do You Speak Gossip?Do You Speak Gossip? Hello my lovely readers! How is everyone? 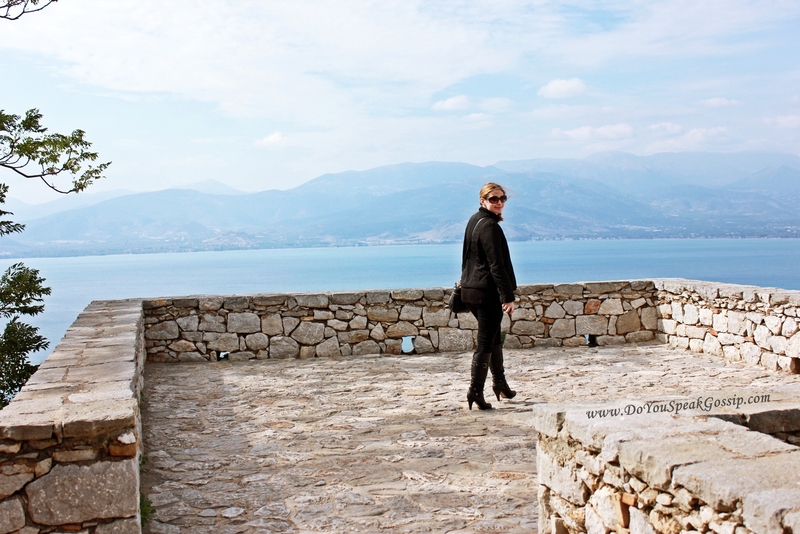 Today I have to show you one more post with photos of my trip to Nafplio (yes, you’re going to see a few more posts about it), and more specifically from the fortress of Palamidi. 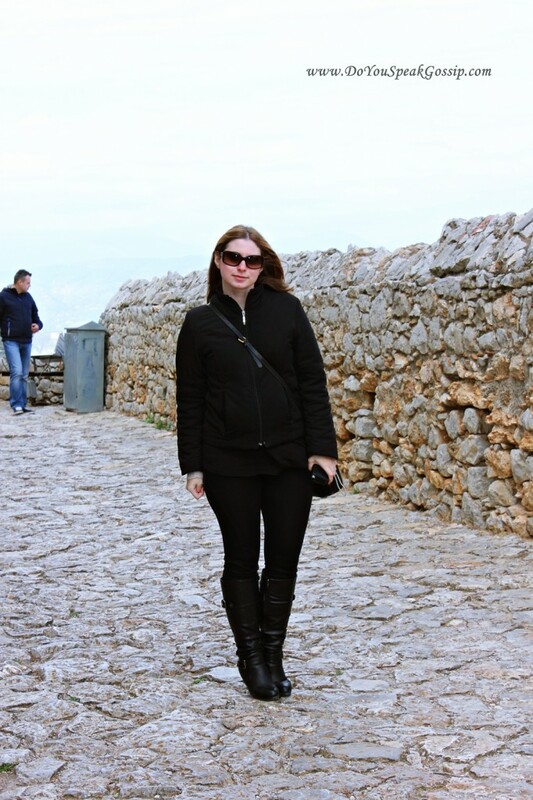 On my first post about my trip, I shared with you some of the pics I took from the fortress. It’s on a really high hill, and it has an amazing view. You can either climb its 857 steps from the town to the fortress (locals say it’s 999 steps), or you can go straight to the top, by car. I chose the 2nd way, as I’ve already climbed it once, many years ago. 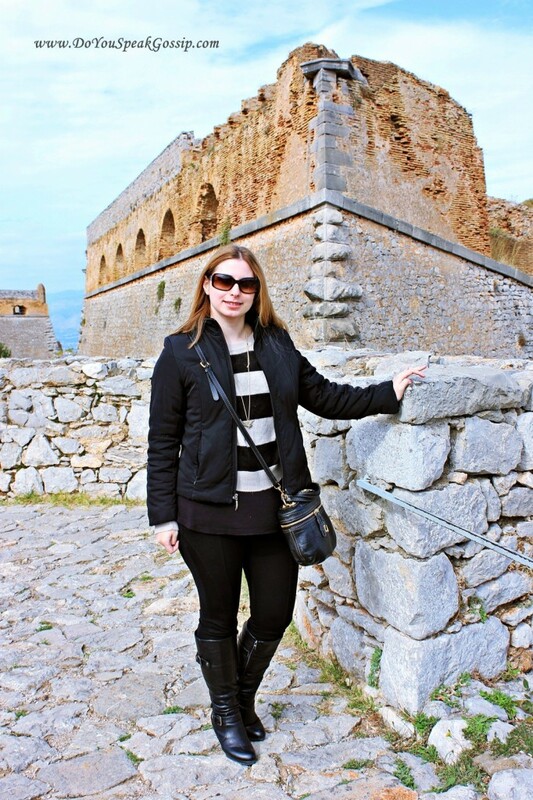 Moreover, there are hundreds more steps inside the fortress. The day was really cloudy, and unfortunately really windy, that’s why I was wearing my jacket in most of the pics. So this is not really an outfit post, but a way to show you some pics of the day. Plus, I was wearing almost the same outfit as the previous day, with small alterations. Trying to keep my hair in place for the pic, cause they were flying all over my head. One more attempt to open the jacket to take some proper pictures. It was really cold! Here he is! 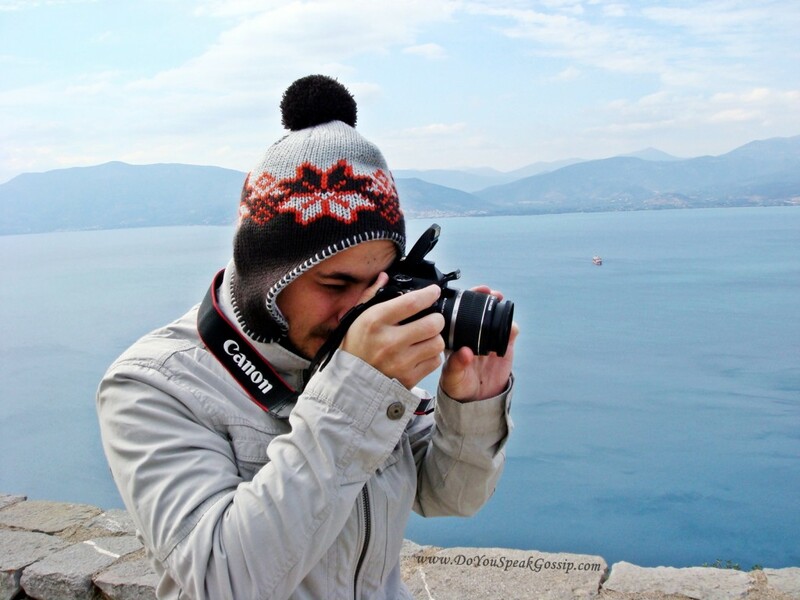 My patient photographer/boyfriend…He did a really good job with the camera. If only the weather wasn’t so cloudy and windy. Finally found an elastic band to catch my hair, instead of putting it inside my jacket. 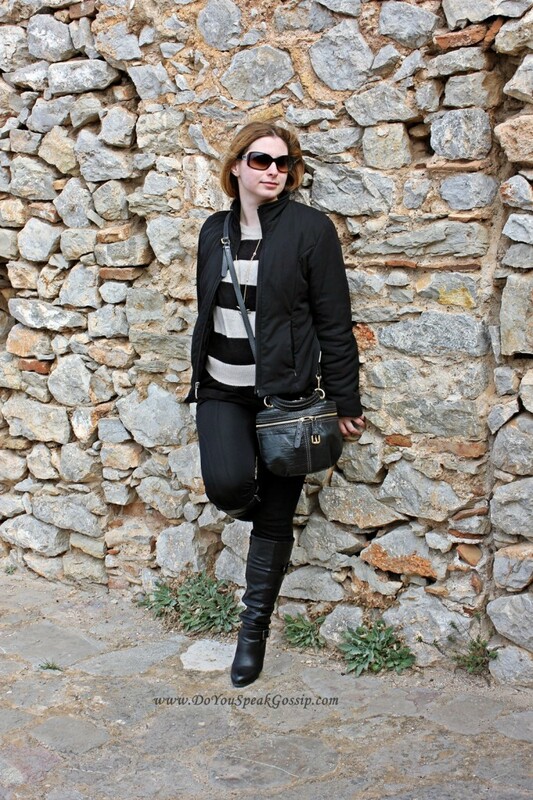 Sarah Lawrence jacket, H&M striped sweater (previously seen here), Zara top underneath it, Sarah Lawrence leggings, local shop boots (Largenti), Michael Kors watch (unfortunately not pictured, under the jacket), new H&M necklace, D&G bag, and Donna Karan sunglasses. 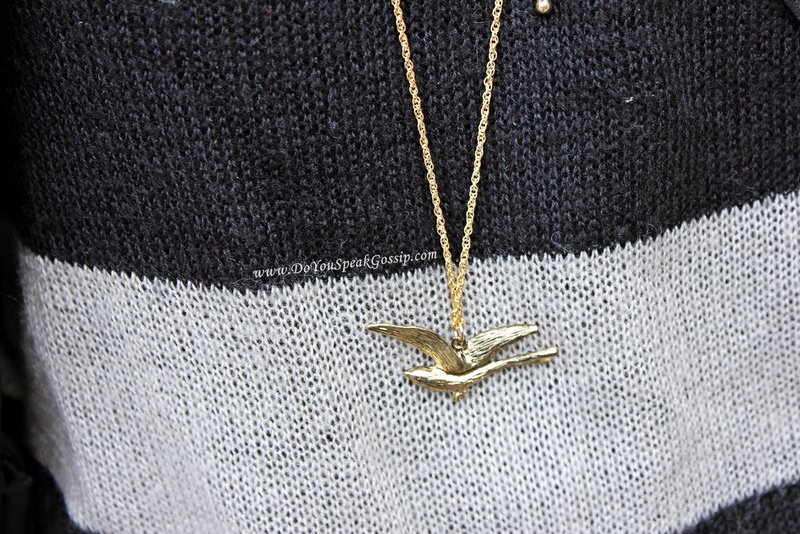 Detail of the necklace (unfortunately it’s backwards, didn’t see it on time). And one last goodbye pic! Hope you liked my pictures and my outfit. 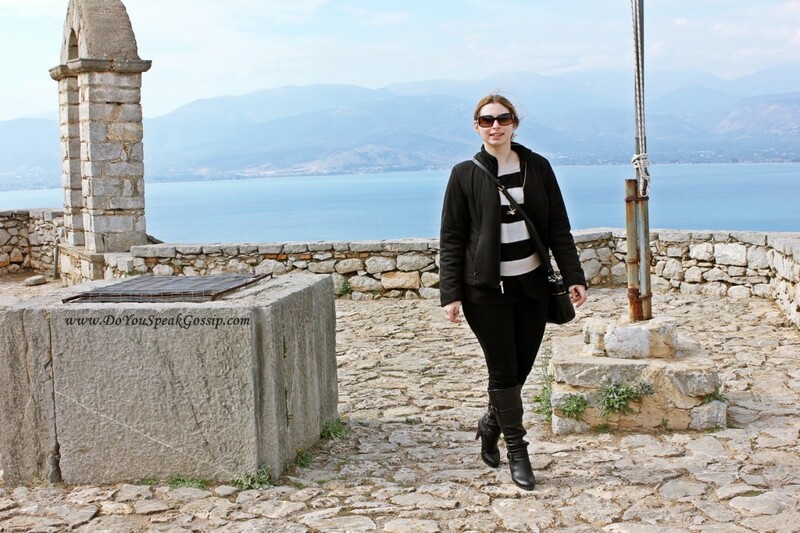 I promise better pics in my next posts from Nafplio (it was warm and sunny the next days!). Till next time have a fantastic week, and don’t forget to follow my blog! The sooner I’ll get enough followers, the sooner I’ll host a giveaway! Hey Steph! Glad you liked my photos! 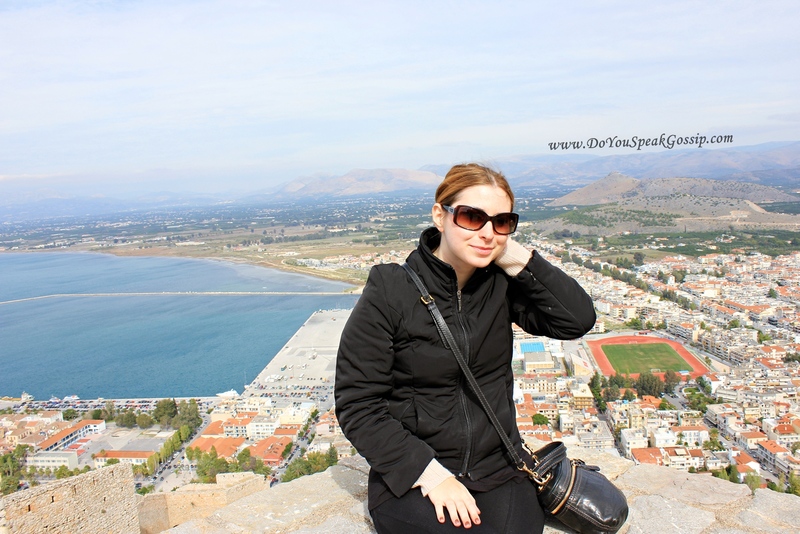 You should definitely visit Nafplio the next time you visit Greece. It’s a small city, but it has many nice things to see. α δεν εχω παει εκει για πολυ καιρο..ειναι πολυ ομορφα! μαρεσει το κολιε σου!! your photographer did good job and his model looks beautiful in every photo. Location an views are amazing. How wonderful trip you both had, juts what a pity that weather wasn’t so pleasant. Wow what a great location! Nice photos! the views are amazing from up there. reminds me of a place we have here…a “hike”, but it’s acually 1,000+ stairs that some people run daily. it’s tough, but a great workout. the great breeze and views from up there almost make you forget all the suffering, lol! What’s the next line? Help write the story! To skoufi tou fwtografou to pirame apo ena mikro magazaki me kapelakia klp stin palia poli, giati o “fwtografos” mou, ipoferei apo wtitides, kai me ton paramikro aera pethainei ap ton pono…Kai kala pou to pire ekeini ti mera giati ksepagiasame. Nomizw oti itane to mono pou eixe, alla ws twra mporei an exei ferei kai alla. wow!! Amazing pictures!! Where is this ..Is it in Italy?? Love your header as well!! Luísa Lión recently posted..Back in June it could have been November.. Thank you very much! Glad you liked my header too. 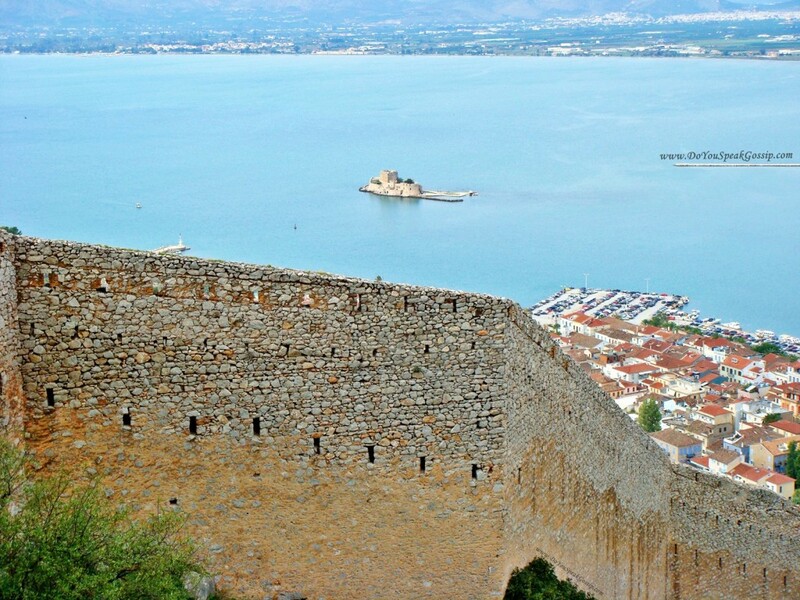 It’s in Nafplio, Southern Greece. It’s a great place. glukia mou ti wraio skiniko teleies photos! !exeis mia nea follower!! Oh, finally I have time to write – and internet as well (I didn’t really have yesterday – could read, but not write)! I spent most of the day yesterday sleeping… recovering…! As usual, what I tell you is what it is (believe me! ): you totally look like a young Hollywood star walking and being “caught” by paparazzi! Your style is great, very classy, very sophisticated, and not showing off! Really beautiful! I loooove those boots! And the landscape? Fabulous! Reminded me of a picture I painted, it was Parga. The fortress is very nice, but almost 1000 steps? Only for marathon fit ones – I am certainly not! 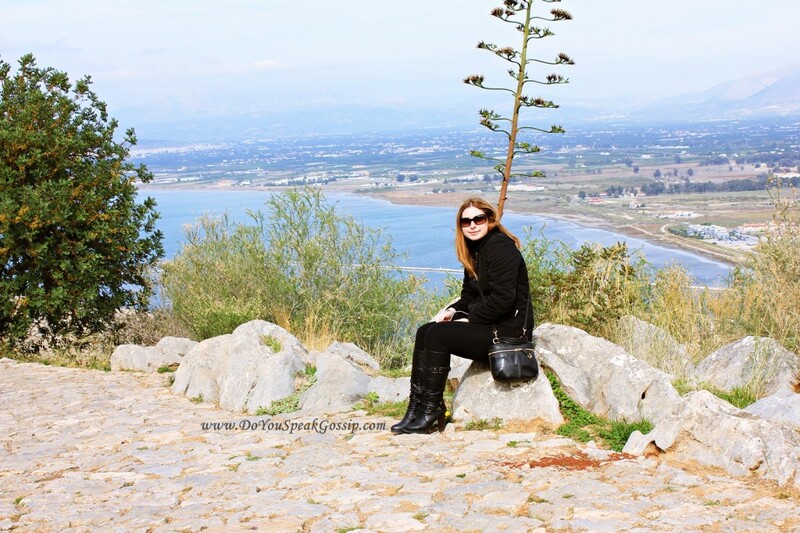 Oh, now I’m looking forward to seeing your next pictures, and really willing to go to Nafplio! Thanks for showing these pictures, you are doing a great service for the towns there! Really artistic views! Thank you so much sweety! I read your posts too tonight. I’m so tired, I have to get up really early (for me! ), so I’m replying to these comments and going to sleep. We must have a huge time difference now, but it’s ok.
I’ve never been to Parga, but I would love to. My mom said it’s an amazing place. Yes, it has almost 1000 steps to get inside, but you can also go straight to the top by car, as I wrote. And that’s what we did. Both times we went there these last 2 years. To see the view and take photos. I knew I had to go back. Wish the weather was better to take better photos of the fortress, but I was freezing. If you come to Greece in the future, and be able to stay for about 2 weeks, I would love to take you there too. hehe. It’s about a 8-10 hour drive from my town though. I’m doing a great service to these towns. They should pay me, right? hehe I wish! To be paid to travel and take pictures, or even paid to buy clothes and shoes. It can happen. I’ll stay positive. Great look ! I just got a pair of boots just like the ones you’re wearing. Love them . . .
Χίλια συγγνώμη που εξαφανίστηκα!!! Η μετακόμισή μου ήταν/ είναι μέσα στην ταλαιπωρία!!! Τώρα είμαι για λίγες μέρες Θεσσαλονίκη – ναι σωστά μάντεψες! – για κάποιες δουλίτσες και θα ξαναφύγω!! Geia sou Chrysa mou, min anisixeis katholou…Fisika kai katalavainw oti exeis polla pragmata sto mialo sou! alessandra mazzini recently posted..Prom night! Ti oraio post!!!! 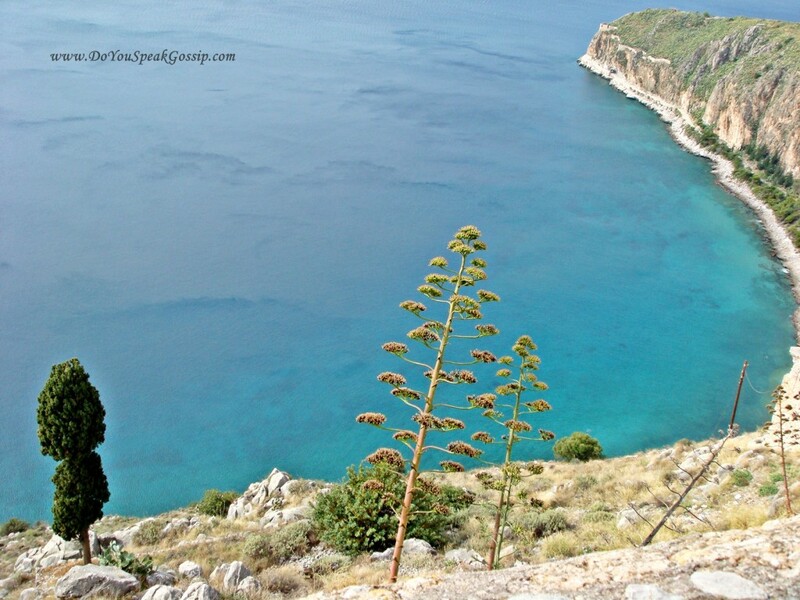 Thelo poli na pao sto Nauplio, gia ena romantic weekend!!!!! Eisai poli omorfi me auta ta rouxa!!! Latrevo tis riges, kai to mauro, opote eisai opos mou aresei!!! TELEIES oi mpotes sou!!! H koroula mou einai 9 xronon(paei tetarti dimotiko!). Exei oraio gousto kai panta pairno sta sobara ta sxolia tis!!!! S’euxaristw poli kai pali christina mou! 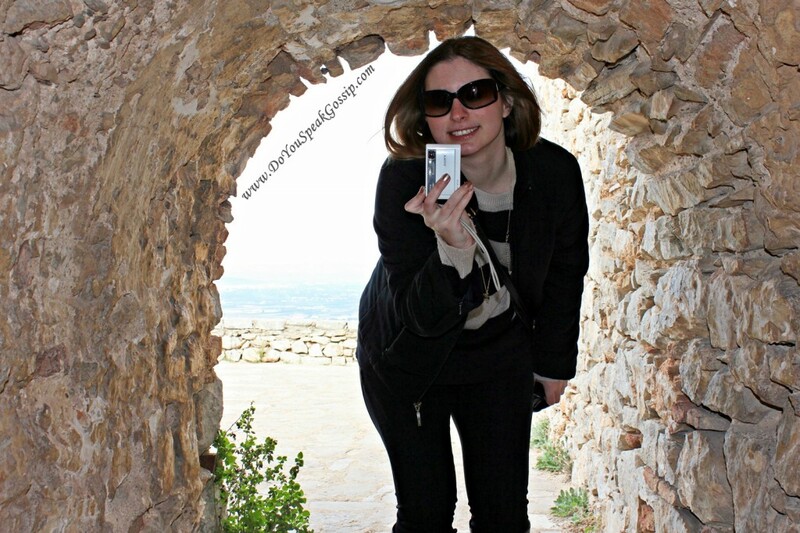 I alitheia einai oti tis perissoteres fwtografies tou blog tis vgazw moni mou, alla o T. vgazei kapoies ap’tis outfit pics tou blog mou…otan den thelw na to kanw egw moni mou me to tripodo kai to self-timer. Αχ ποσο ομορφα μερη εχει η χωρα μας?Πανεμορφες φωτογραφιες!!! S’euxaristw para poli gia to comment sou kai to follow!